Injured or Lose a Loved One Due to Medical Negligence? You see a healthcare provider to get better, not to have your health problems compounded. Unfortunately, thousands of Americans every year suffer painful, often permanent, harm because of medical and surgical errors. Medical malpractice cases can be particularly challenging from a legal standpoint. It is not always clear that a provider performed below the acceptable level of care or that the provider’s error directly caused a poor outcome. Nonetheless, surgical errors, incorrect prescription dosages and other tragedies can happen. In these vulnerable times, our Denver medical malpractice attorneys can help. At Lampert & Walsh, LLC, we are determined to assist injured patients. With more than 35 years of experience, we have the knowledge and resources necessary to fully investigate your case. With a team of professionals, including medical and surgical experts, we scrutinize every detail of your claim. If there has been an error in your health treatment, then you should contact a medical malpractice lawyer. You can be confident in our attorneys because we have a track record of success in obtaining favorable settlements. Misdiagnosis: A misdiagnosis could result in serious injuries. A provider can fail to consider medical history, pursue improper testing or misread test results. Prescription Errors: If you have received the wrong drug or the correct drug at a wrong dosage, you may have a claim. Surgical Mistakes: Many implants and surgeries require precise cementing of materials. They may become faulty through a surgical mistake. Additionally, if a provider fails to follow procedure, a patient may face post-operative infections. Anesthesia Errors: Unfortunately, sometimes patients do not wake up after receiving anesthesia, or other complications may occur. Some providers are negligent if they fail to properly monitor a patient. Information Failure: HIPPA law exists to protect patients. Medical negligence can occur if risks of treatment are not disclosed or if no informed consent is given. How Can I Recover in a Medical Negligence Claim? While you may receive current and future compensation for medical malpractice, there may be some limitations. Colorado has capped non-economic damages in medical malpractice cases at $250,000. This does not limit how much you can recover for medical bills, lost earnings or other purely economic losses. However, there are some limitations on how much you can recover from a healthcare provider. This includes pain and suffering, loss of quality of life, loss of consortium and other intangible damages. In addition to some monetary caps, there are time limitations for a medical negligence claim, so always consult a lawyer. In Colorado, the statute of limitations for medical malpractice is two years from the date of the injury. However, many patients are often unaware of their injury or their injury manifests at a later date. Additionally, a temporary injury may reveal itself to have permanent effects. Under the discovery rule, the statute of limitations does not begin running until the date that the patient discovers their injury. If you are concerned that it may be too late for your claim, then do not hesitate to contact us. 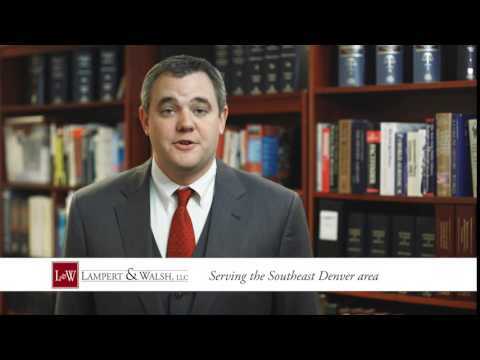 Our Denver medical malpractice lawyers can review your situation and let you know how we can help. Do you have concerns over how long it is taking you to recover from surgery? Has a loved one’s health declined after receiving treatment? Have you received substandard care? Have your rights been violated in a doctor-patient relationship? You do not need to feel overwhelmed. Our attorneys work to hold negligent caregivers accountable, including anesthetists, chiropractors, dentists, doctors, hospitals, nurses, nursing homes, radiologists and surgeons. We scrutinize every detail of your claim to help you reach a quick and favorable settlement. If a doctor or other healthcare provider has injured you due to substandard care, then you should seek the help of an experienced attorney. Do not let the fear of court or legal costs prevent you from seeking justice. At Lampert & Walsh, LLC, we can evaluate your claim for free. We work on a contingency fee basis, so you do not pay any legal fees until we obtain a settlement. Medical malpractice cases require knowledge and experience to resolve favorably. For more information, call us today at 720-489-5848 or contact our Denver office online.